Azim had it all planed out! 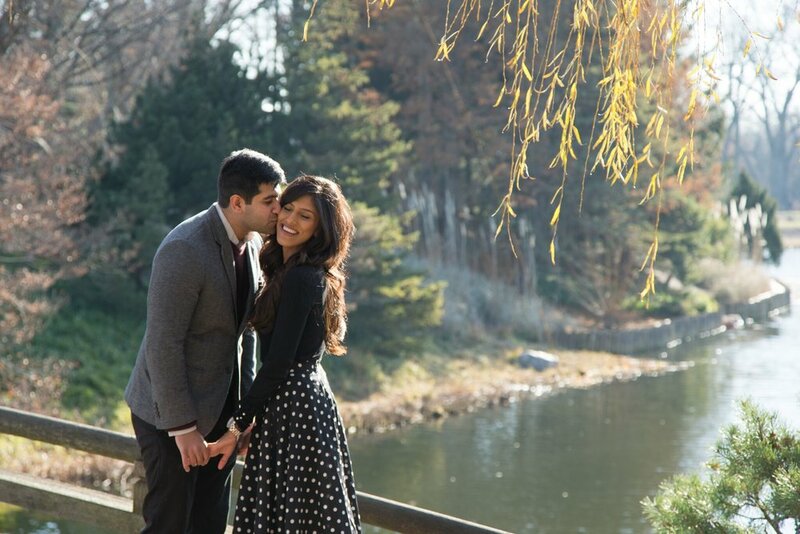 Sharmin, his bride to be, would enjoy a beautiful walk through the Japanese gardens with her girl friends who would ultimately lead her to a romantic bridge over looking the scenery where Azim would be standing. Cute, huh? Well it gets better! 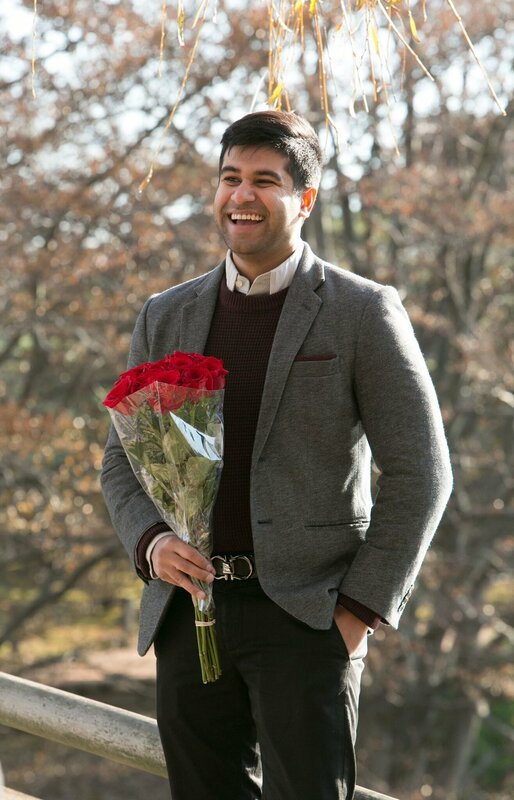 As Sharmin came closer to the bridge, she spotted Azim standing with a bouquet of red roses. 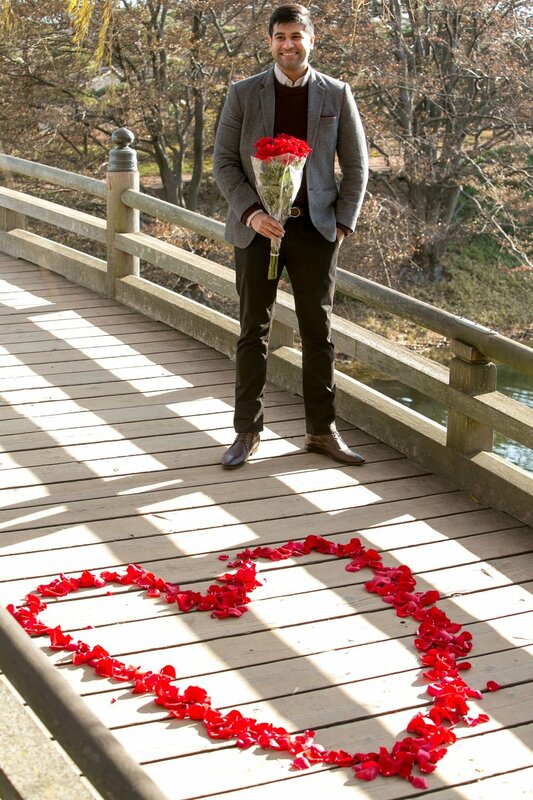 As she came closer, she noticed not only the roses…she noticed a heart made out of rose petals carefully placed on the bridge. 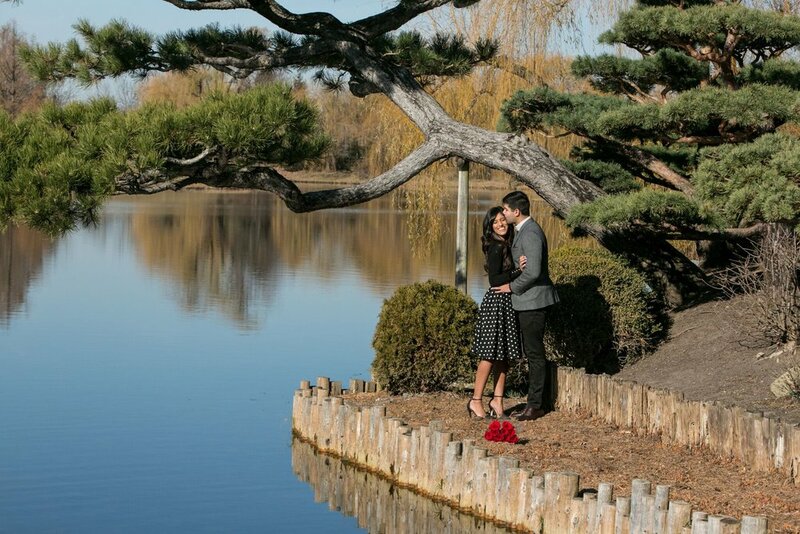 We couldn’t wait for these proposal photos to begin! Hiding in plain sight and acting as a tourist was a load of fun and nerve wracking to say the least. This proposal turned out to be both a surprise and a moment this couple would never forget. 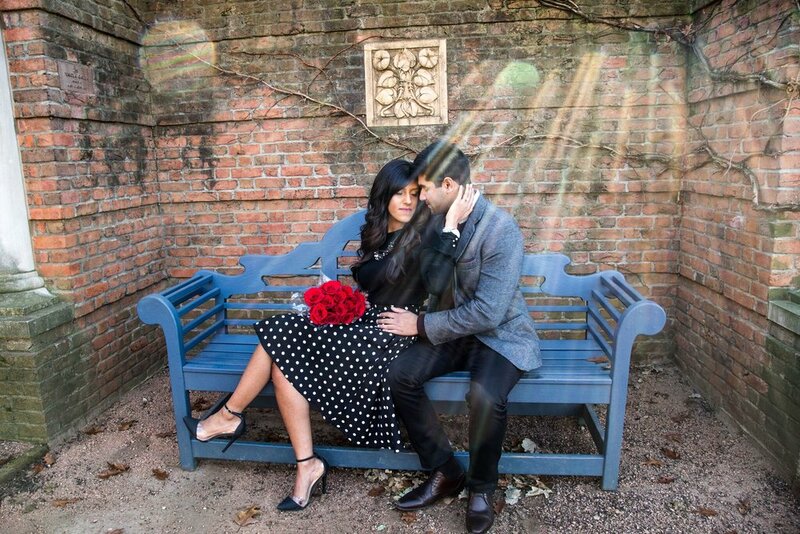 Finally it was time…Azim got down to one knee, popped the question and Sharmin said the word YES! What a magical moment for the both of them! Let’s take a look at some of those awesome moments below! 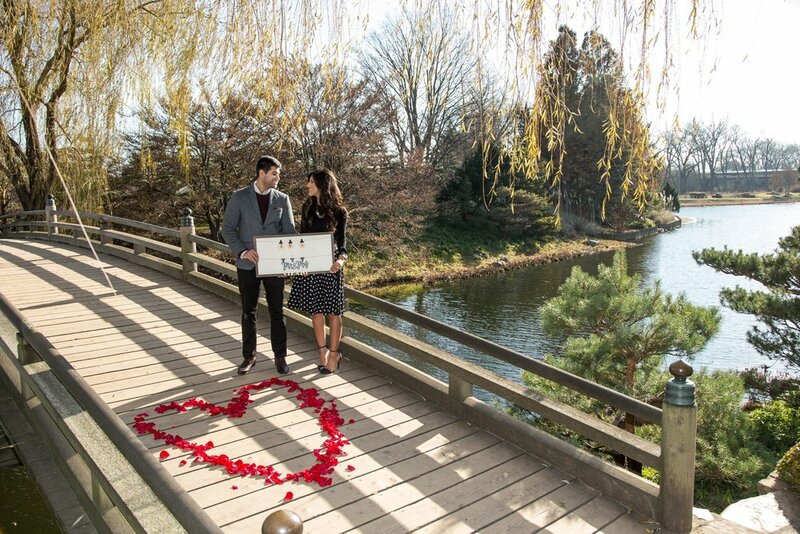 Popping the big question? Let us capture the moment she says "Yes!" We specialize in storytelling and portraying the moments as they come through beautiful candid and posed images. Love is important to capture and we do that with mainly candid images. It is important to be yourself and let your personality and creativity shine! When both you and your partner sync, the photographs become even more intimate and especially more meaningful. We strive to make each session fun and lively for our clients. Check out our proposal and engagement portfolio for more examples of our work!